[TORONTO] The Murchison Widefield Array (MWA), a radio telescope in the outback of Western Australia, has completed a planned major upgrade, making it ten times more sensitive and doubling its ability to resolve detail. 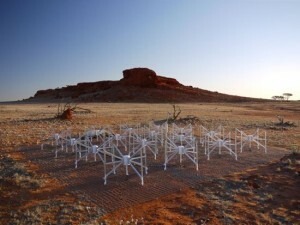 The MWA is one of four precursor telescopes for the Square Kilometre Array (SKA) which, when completed in the mid-2020s, will be the largest radio telescope ever built. It will have a total collecting area of a square kilometre, with antennas located in Australia and South Africa. SKA will be a ground-breaking instrument which astronomers will use to conduct new tests of General Relativity, observe the very first stars and galaxies, and investigate dark energy and cosmic magnetism.